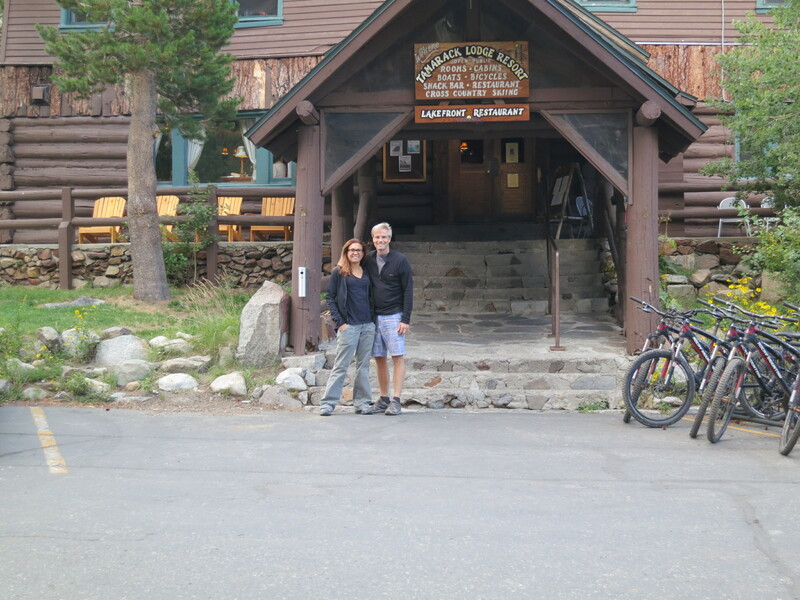 Our lodge for the first night was built in 1924. It’s rustic, but nice. The restaurant inside was full so we borrowed some bikes for the 5 mile round trip into town for some food. Dinner was awesome, but the ride back was all up hill and since we are already over 8000ft in elevation, it was a little tough. 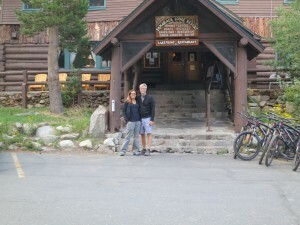 We get picked up at 8am tomorrow morning for the ride to Yosemite. The SPOT link is working in the previous post if you want to track our movement. 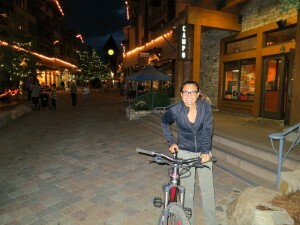 This entry was posted in JMT Trip on August 30, 2014 by admin. 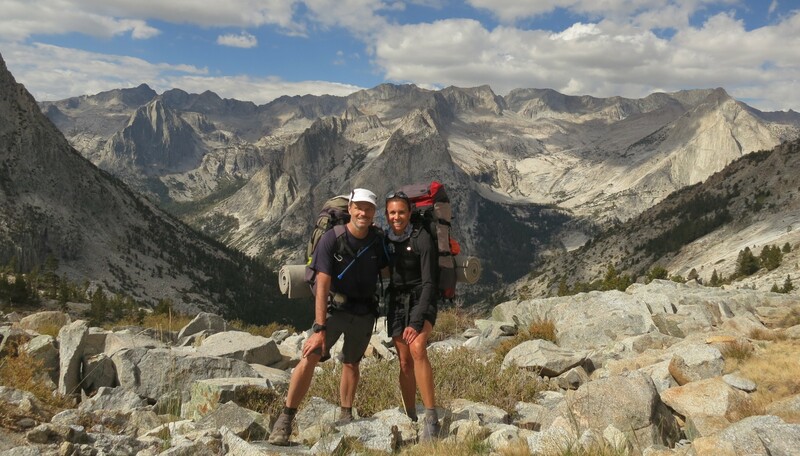 Next Friday, Tracy and I are heading out on the John Muir trail again. 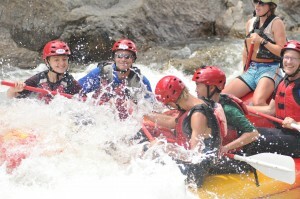 We will be doing 3 different segments that start in Yosemite and end at Mt Whitney. Between each of the segments, we will spend a couple nights in a hotel so we can eat real food, sleep in a bed, and take a shower. We will end our journey at Lone Pine, CA on Sept 11th. 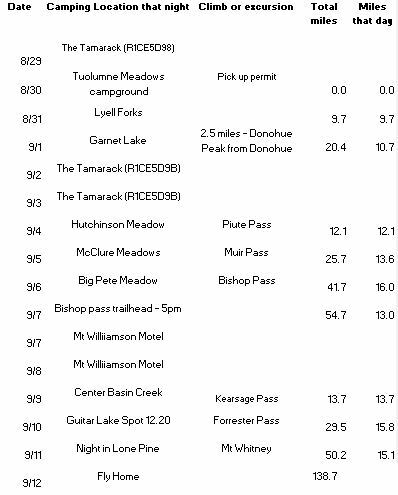 For those following us – I included a list of places we expect to camp. Things change due to weather, etc so don’t be alarmed if we always aren’t where we expect to be. I have also included a link to the SPOT we are carrying. This will give you an idea of where we are on the trail. Last year when I hiked, the SPOT worked intermittently so if there is not a maker for a day or so, it is probably acting up again. If there are any concerns, we’ve set the SPOT up to send help messages to my sister Deb or Tracy’s sister Jennifer. This entry was posted in JMT Trip on August 23, 2014 by admin. 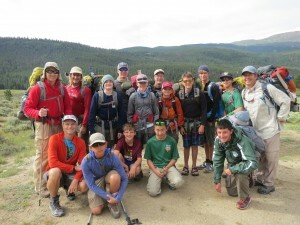 Last week, some members of troop 990 and their parents went to Colorado for a backpacking trip on the Colorado Trail. 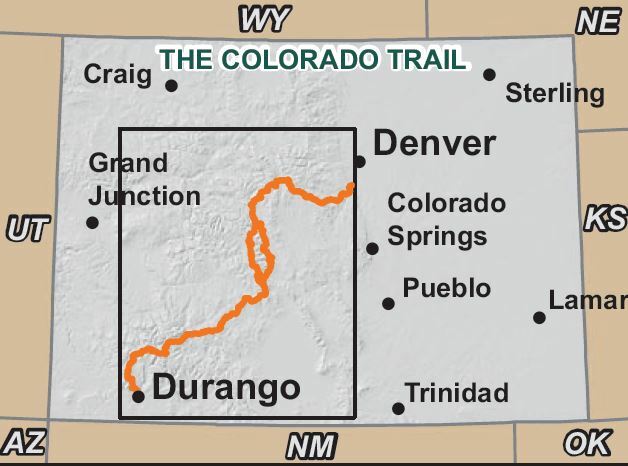 The trail is almost 500 miles long and connects Durango to Denver. 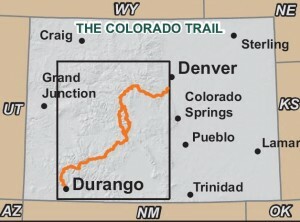 It travels through some of the most spectacular parts of the Rockies and is challenging due to all the elevation. 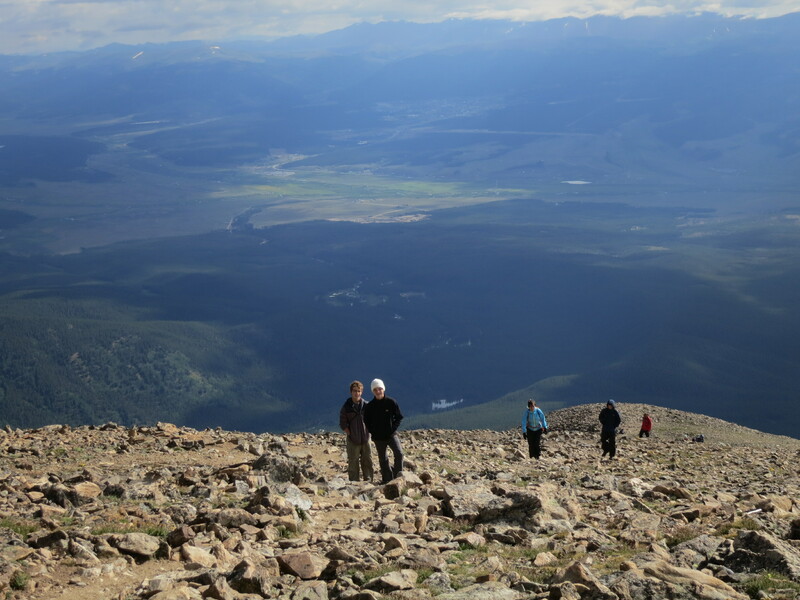 Each year many hikers attempt to walk the entire length and we had the opportunity to meet many of them. Pictured below is one such hiker, “Daddy Big Stick”, who we met early the first day and continued to see through-out the hike. 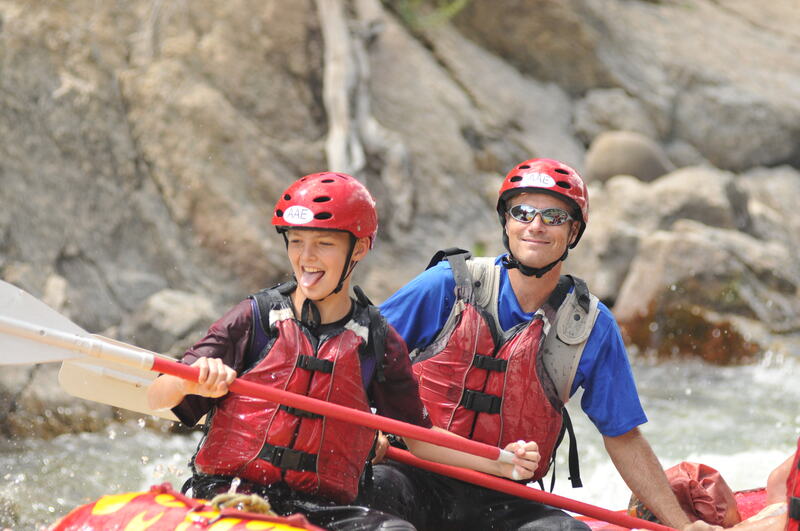 Our trip started with spending a couple nights in Buena Vista, CO. Our trip leader, Rob, had done a great job filling our starting days with fun things that included a Frisbee golf round and rafting on the Arkansas River. Even late in the summer, the snow melt was still pushing the river to Class 3 Rapids so we all had a blast navigating the icy waters. On Monday morning, the whole crew started their 35 mile Colorado Trail hike at Clear Creek Road. 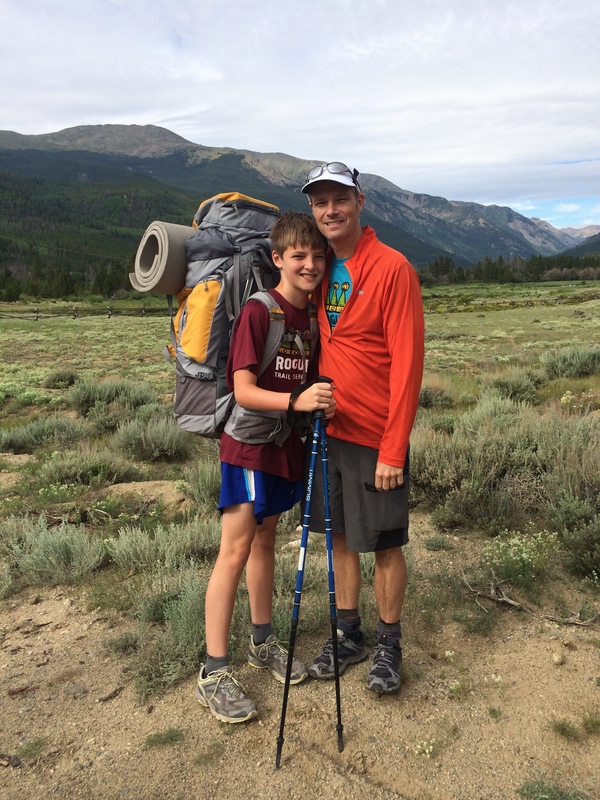 Our packs weighed anywhere from 20 to 50lbs depending on how much food, luxury items, etc… were packed. Our goal that day was to hike 9 miles to Twin Lakes and camp on the beach. The day was long and filled with uphill’s, but all the scouts and parents did well and we made it to beach camp with few problems. Once at camp, we set up our tents, filtered water, and started dinner. 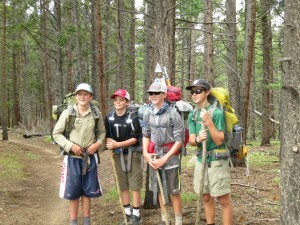 Unfortunately, the weather didn’t hold and most of the scouts ate dinner in full rain gear or in their tents. 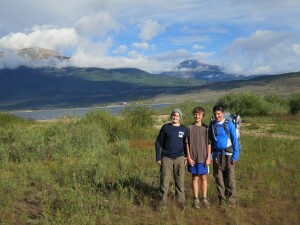 The following morning, we hiked 10 miles to the trailhead of Mt Elbert. Mt. Elbert is the 2nd highest peak in the continental US at 14,433ft. 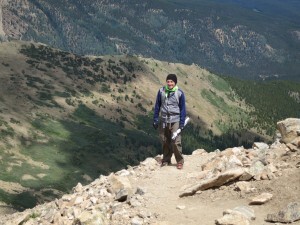 The approach is close to 5 miles and climbs about 4,000ft. 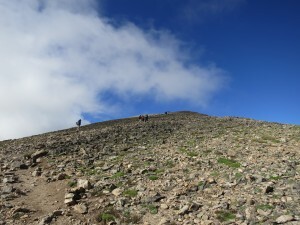 The unfortunate thing is the last few miles are very, very steep and the mountain has 2 false summits. 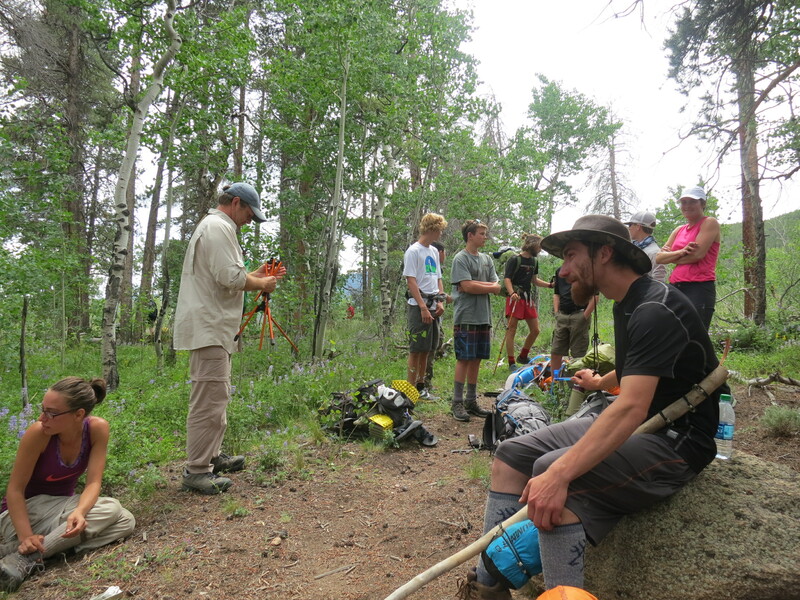 The scouts split into two groups for summit bids and after a little struggle and a lot of hard work, all the scouts and parents made it to the summit. Daddy Big Stick was on the summit enjoying the view. 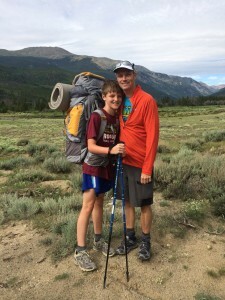 He told us that he was planning on hitching into Leadville for a bit of restocking so we bid farewell and wished him luck on completing his last 100 miles of the trail. 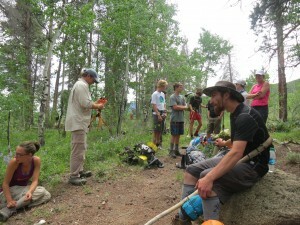 We had planned to get back to camp, have lunch, pack up, and hike to the Mt. Massive Trailhead; however, everyone was too winded to hike so we took a zero day. 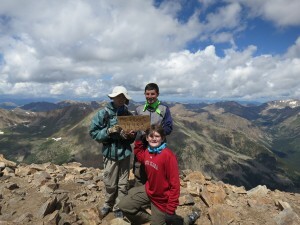 The next day, only a few scouts and parents wanted to attempt to summit Mt. 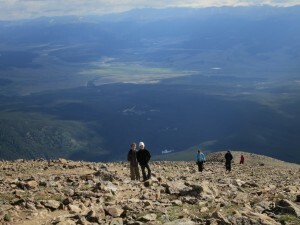 Massive (the 3rd highest peak in the continental US). 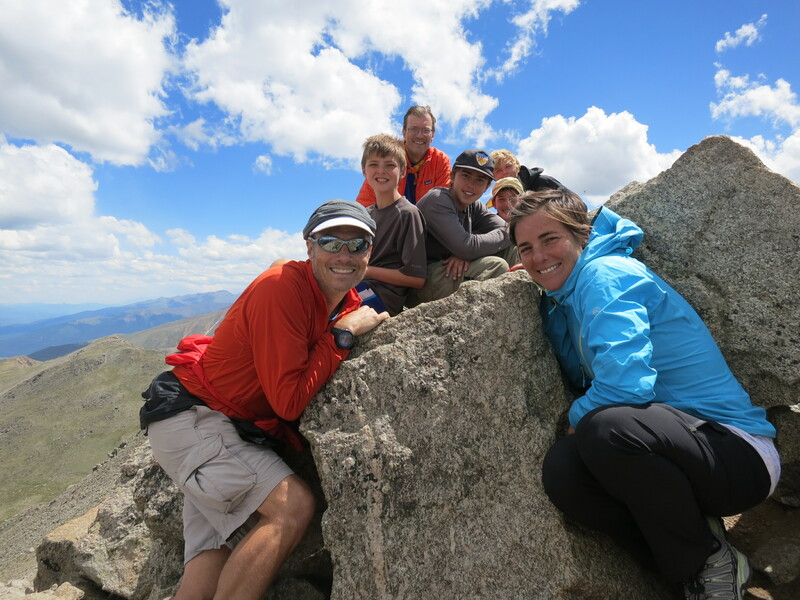 Mt Massive is a very impressive mountain with multiple summits rising over 14,000ft. 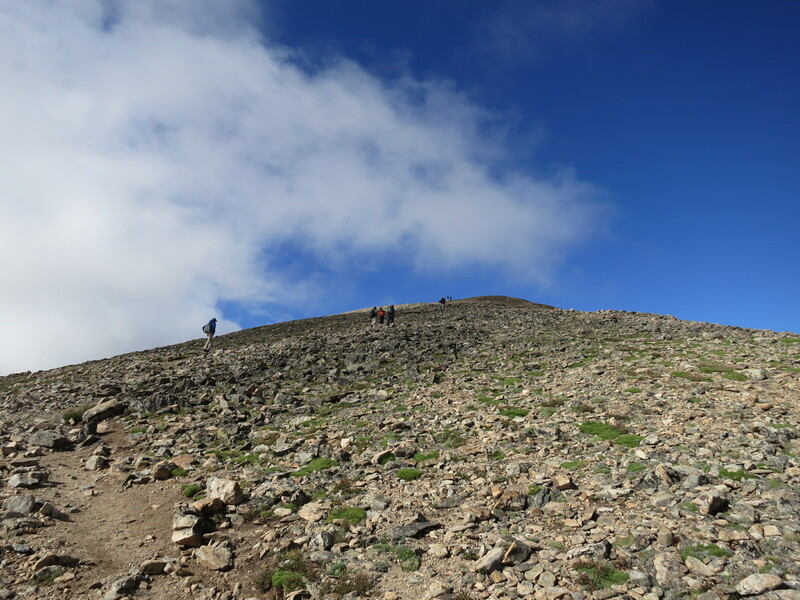 The approach travels through a beautiful meadow at 12,000ft which rises to a grass filled bowl that is surrounded by all the summits. 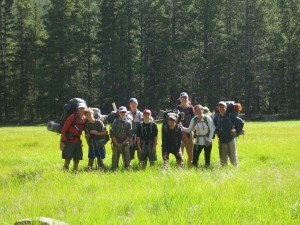 The entire group packed up and backpacked the 5 miles to the trailhead. 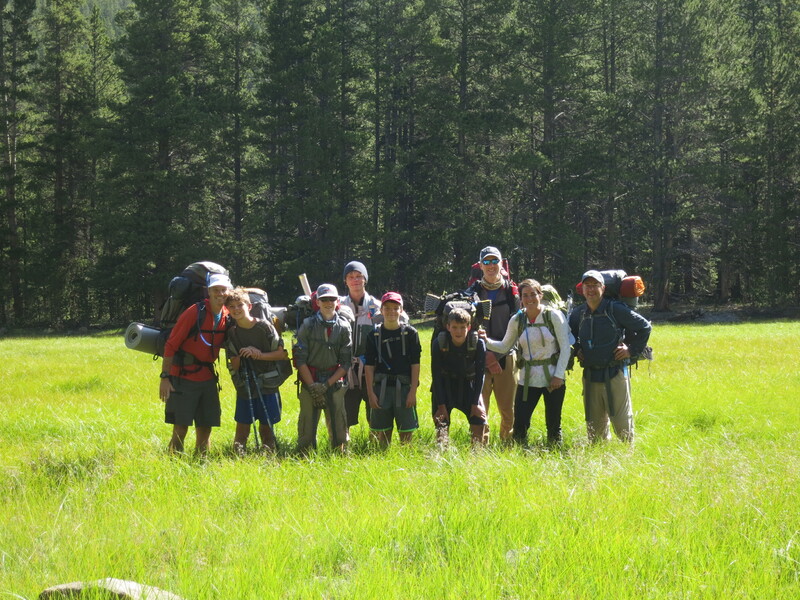 A few of us took off for the summit, while the rest decided to spend a relaxing day in the high meadow. 4 scouts and 3 adults attempted the summit and 100% of them made it. It had looked as if thunderstorms would turn us around, but the sky above the mountain stayed blue as the storms passed to the north and south. It was a long day for all, with a majority of the teams making it back to the trailhead late in the afternoon only to have to hike 3 more miles to the campsite. 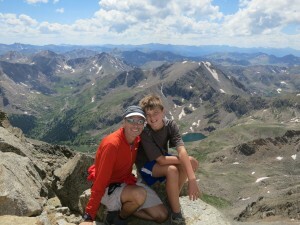 For those that summited, it was almost 17 miles. The following morning we slowly packed up and marched the remaining 8 miles to the exit point. After 5 days with packs, we made great time and had limited stops. We walked into the parking lot, only to find Daddy Big Stick walking up to rejoin the trail. 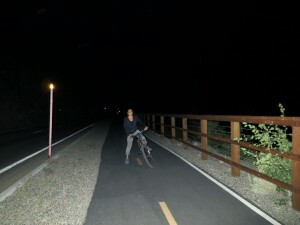 He had spent the night in Leadville camped behind the pizza restaurant, as every place was full since the Leadville 100 Mountain bike race was the following day. We loaded him up on food and wished him a final farewell. With the detours up the peaks, the entire troop did 50+ miles with those that summited both peaks hitting 62 miles. 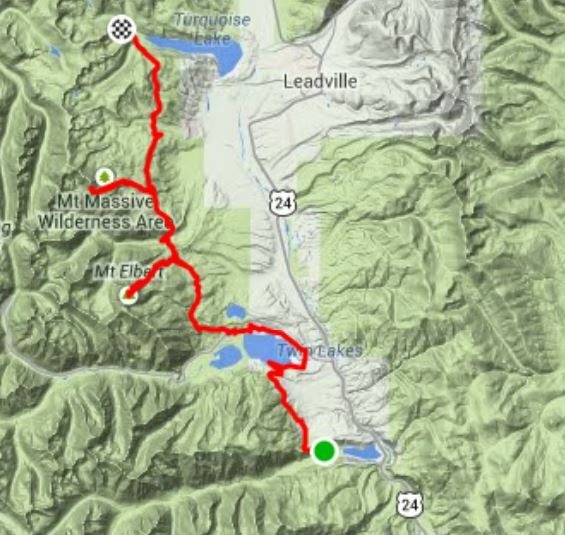 The graph below is from my GPS watch that shows the entire route and elevation. 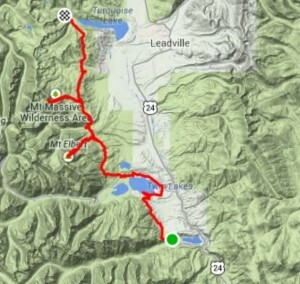 It’s a little more than the 62 miles since I made 2 trips up Mt Elbert. The entire trip was a wonderful success and a huge thanks to Rob for working out every detail. 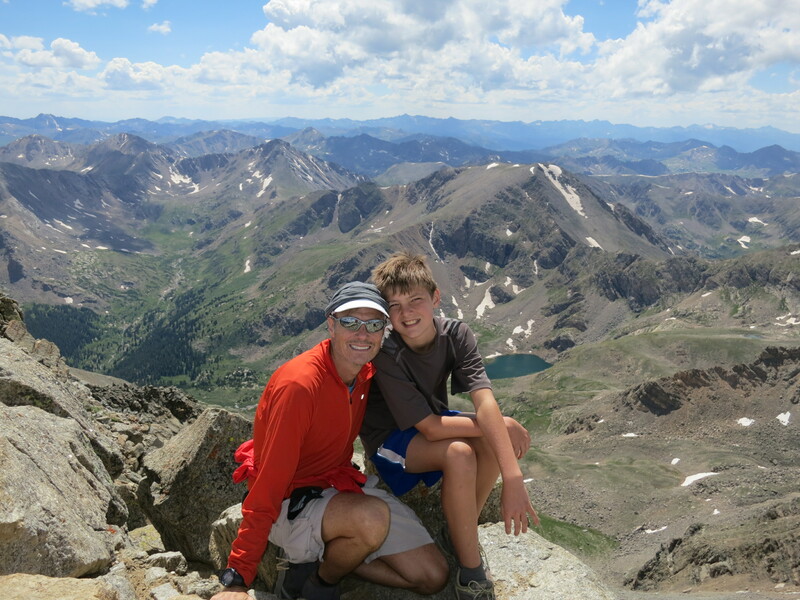 This entry was posted in Hikes on August 12, 2014 by admin.